Casino Royale burst into movies theatres way back in 2006, right at the start of the Daniel Craig era. Craig was almost the perfect choice of actor to play the new, moodier, darker Bond in a casino-themed flick, taking perfectly to the role, bring a much-needed demanded by the presence of poker in the movie. No, Casino Royale isn’t a “poker movie” as such – there’s a lot more to it than that as Craig battles terrorist organisations, but it’s a crucial part and helps to elevate the movie to cult status. It certainly helped cement the break from the Pierce Brosnan movies that came before. California Split came out all the way back in 1974, but thanks to exceptional direction by Robert Altman and lead roles by George Segal and Elliott Gould, the movie soon became a classic. The film is based on the fantasy that many of us have to be pro poker players. The actors help bring poker scenes to life, helping us to see how a heroic poker player goes about his trade. The movie is all about the thrill and depths of despair that poker gamblers experience. High Roller: The Stu Ungar Story follows the tale of Ungar, a man who was a whizz at card games but a total failure in practically every other aspect of his life. Despite his success at the table, Ungar spent the majority of his adult life taking hard drugs and spending all of his winnings, more than $30 million in total. By the end of his life, he had nothing. Maverick might not be the most realistic depiction of poker – and may be especially grating for professionals – but thanks to performances by Mel Gibson and James Garner, it offers something entertaining for the casual poker player. Where did the current cultural obsessions with poker come from? Many film buffs would argue that it was the result of Matt Damon’s starring performance in Rounders, one of the most influential movies of the late nineties and perhaps the greatest poker movie of all time. The movie investigates life in New York’s underground, high-stakes poker scene. Damon’s character – a reformed gambler – returns to the gambling scene in order to try to help one of his friends get out of debt. Critics reviews were mixed, but genuine poker enthusiasts love this movie. 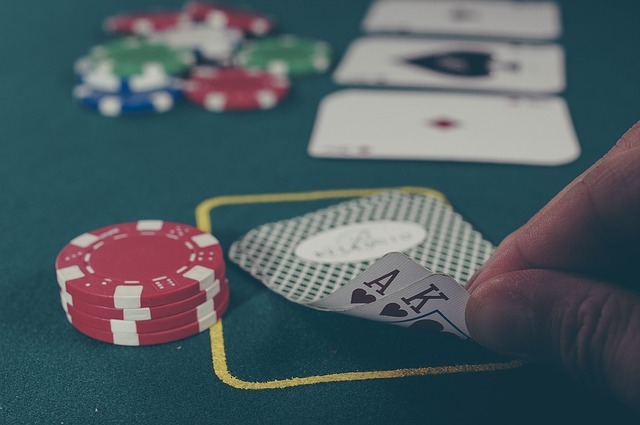 If after all that you feel like playing online poker then bestuklivecasinos.co.uk is the best place to find a reliable online casino to do so. You can play classic Texas holdem with other players or live poker games like 3 card brag with live dealers. All from the comfort of your own house.